Purchasing a new home appliance is a significant decision (and investment) for any family. New technologies, differences in size, price, power, and installation procedures mean that consumer expectations for their appliances are widely varied and always evolving. For years, Samsung's strategy in this market has been to design appliances that elevate average kitchens to professional cooking environments. It has been an extremely successful approach, but until 2017, it was impossible to purchase any appliances—refrigerators, stovetops, microwaves, even washing machines—on samsung.com. 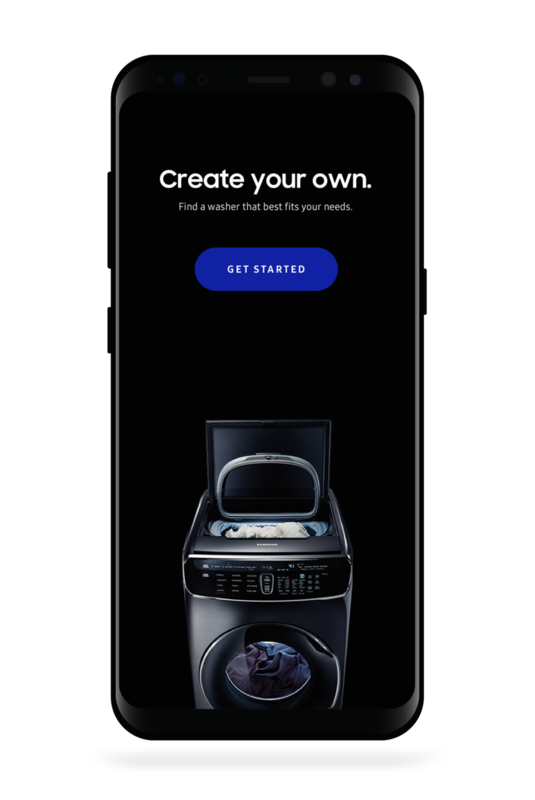 Our UX team envisioned a new way to purchase appliances across all of Samsung’s brand outlets. The online experience eased customers’ purchase decisions by helping them find, learn about, evaluate, pick, visualize, and buy the appliance(s) that best match their needs, helping them feel great about their choices. The experience went live to customers in the U.S.A. at the end of 2017, and was recognized at the 2018 CES Innovation Awards.